If families know the real you – then families can find you real love. 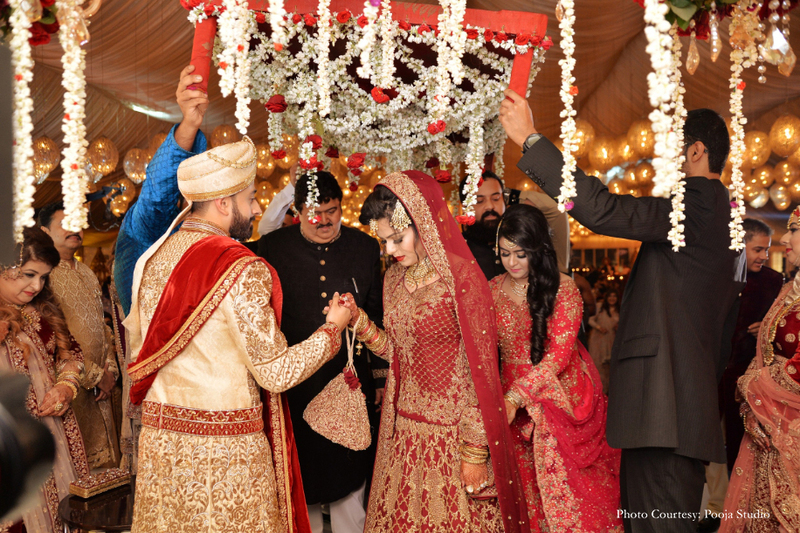 With Naureen and Junaid, a meeting arranged by intuitive relatives turned into their forever. Love blossomed and so it came to pass that a grand wedding had to be planned. 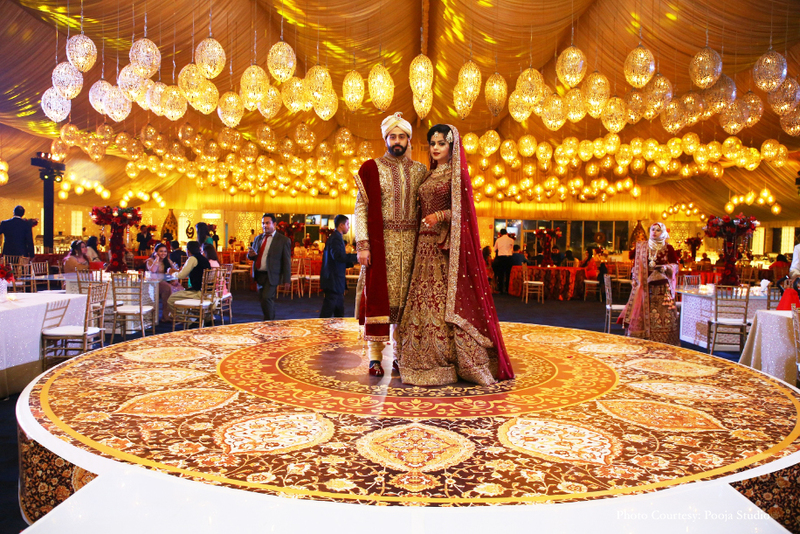 And who better than WeddingSutra Favorite BAQAA Glamour Weddings & Events, one of the UAE’s leading wedding planning companies. 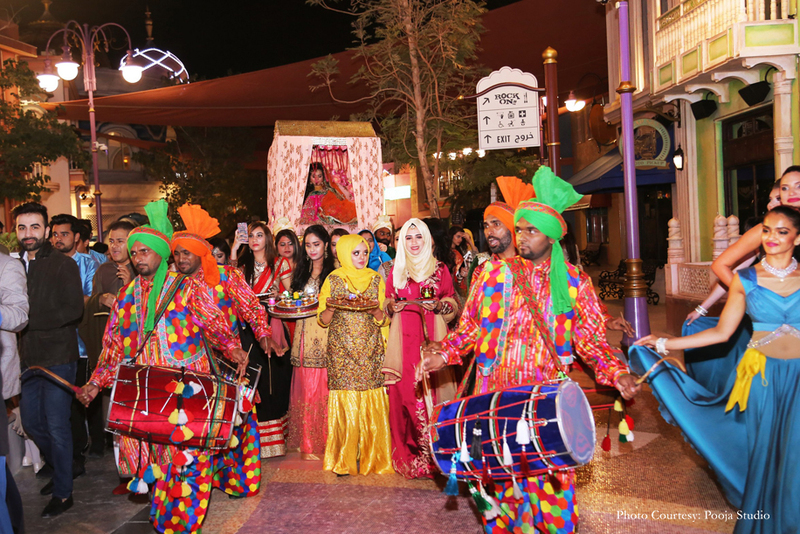 Not only did they turn this couple’s dream into a reality but they also won their hearts.The bride tells us about their nuptials that were hosted at Bollywood Parks Dubai and Atlantis The Palm, Dubai and how Mrs. Rachna Chadha of BAQAA Glamour Weddings & Events achieved perfection. 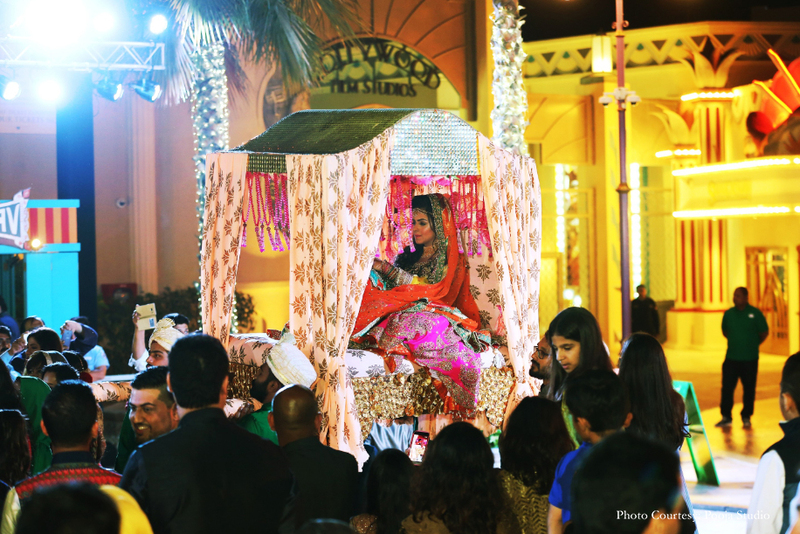 “BAQAA Glamour Weddings & Events planned our wedding and I would like to say that Mrs. Rachna Chadha and her team is hands on, the best wedding planners in the wedding industry. 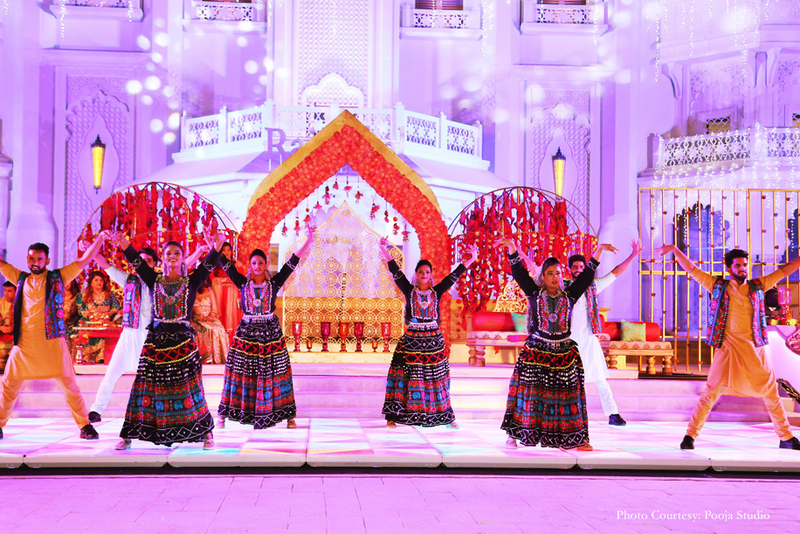 They had planned my elder brother’s wedding as well and we were highly satisfied with their work. They are so good at coordinating and planning the wedding down to the smallest details. 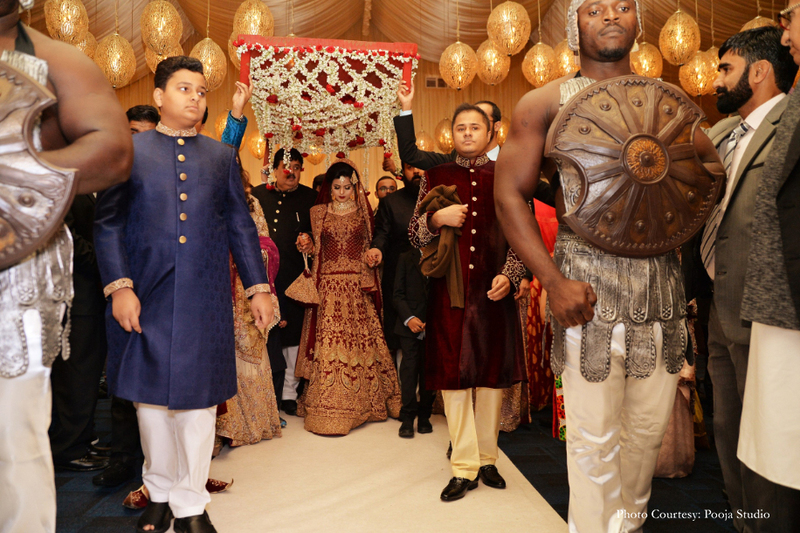 I can’t express how grateful Junaid and I were to have them around for our nuptials. Rachna is great at what she does. Her caring personality and passionate professionalism go hand in hand. Months before the wedding she connected us with fantastic vendors, the best in the industry, so we did not have to spend countless hours finding them. She worked with us to nail down the details of the wedding and made a timeline that included all the things we wanted to do and have on that day. 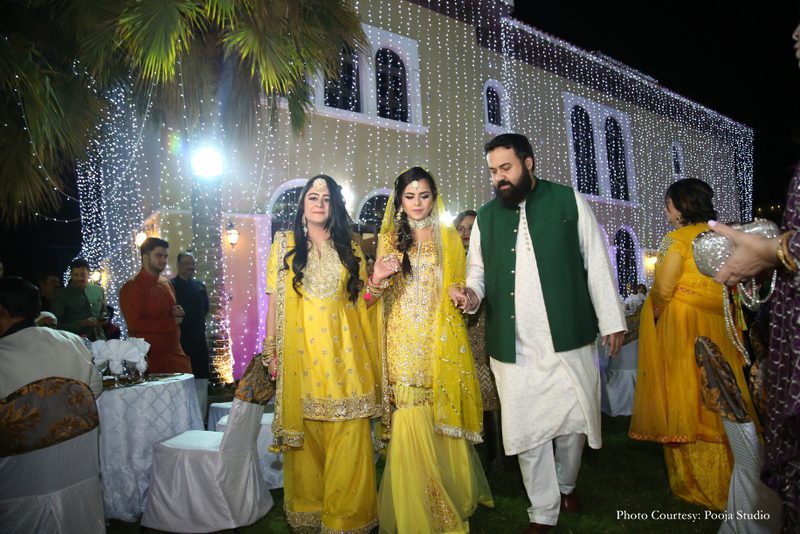 On our wedding day, she made sure we were on time and everything ran smoothly allowing us to enjoy every moment. 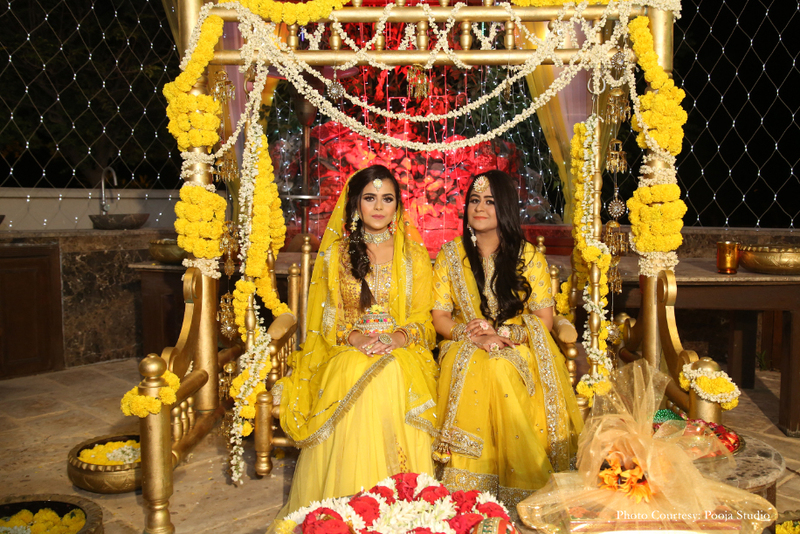 The wedding celebrations were inaugurated with the haldi. 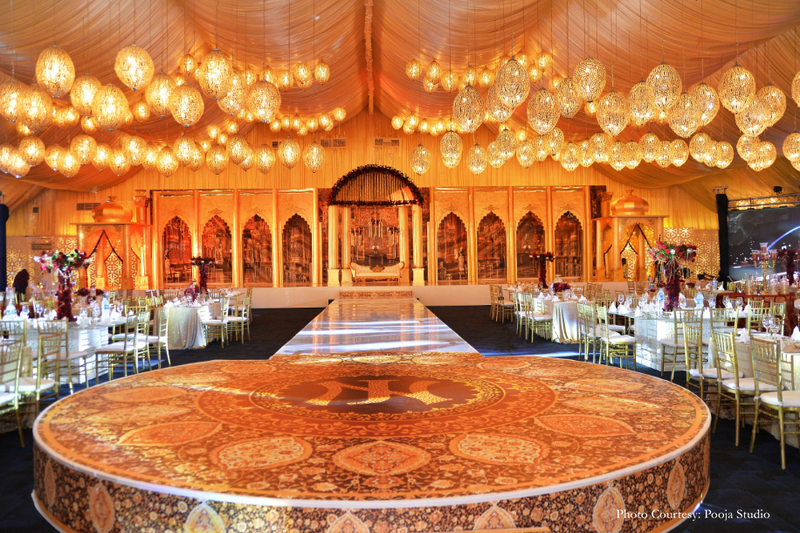 We’d invited only close friends and family and Team BAQAA Glamour Weddings & Eventsdid a wonderful job with the decorations and truly transformed the face of the space. 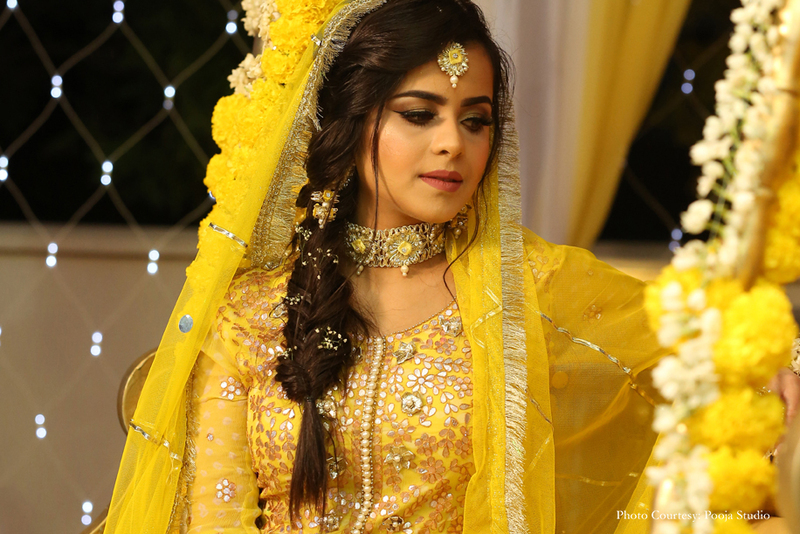 Bright yellow gendas were the key element used and created a traditional appeal. 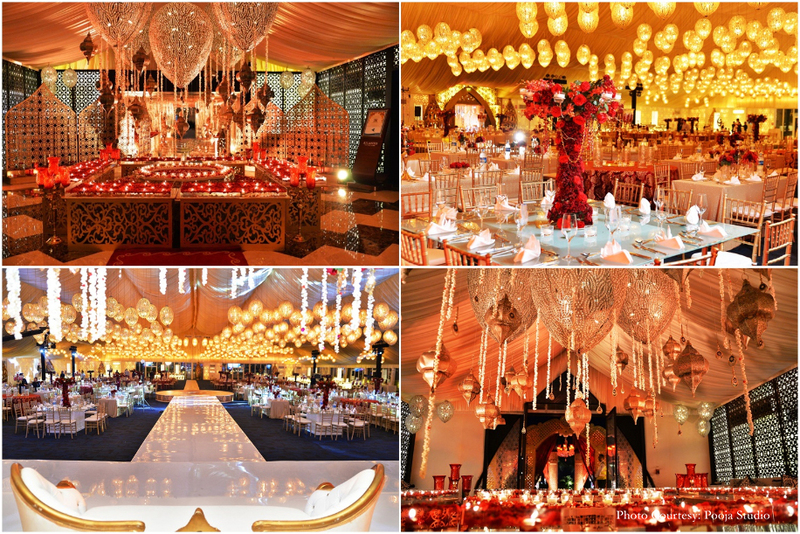 It looked stunning and definitely exceeded our expectations. 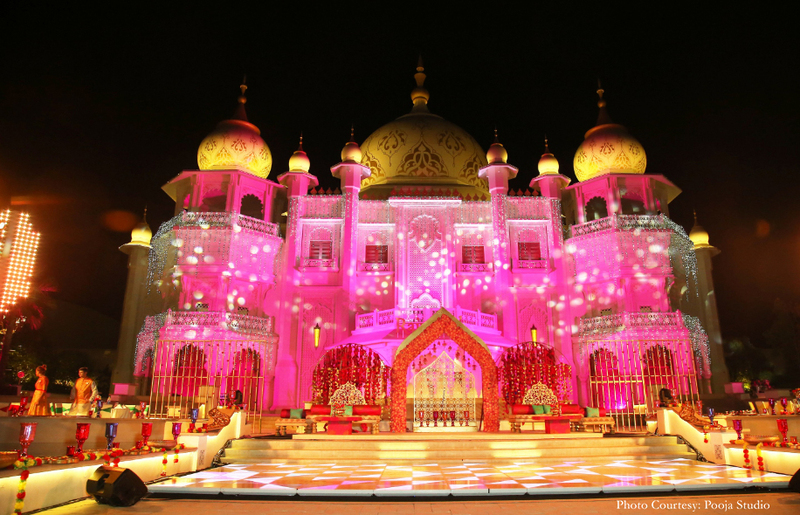 The set up for this function was very vibrant and colorful with the huge Raj Mahal of Bollywood Parks and Resort in the background. 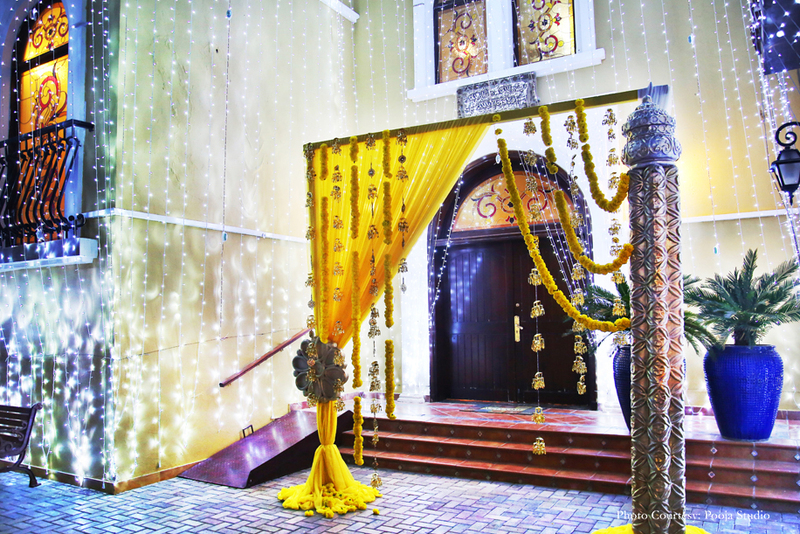 Ours was the first mega Indian wedding hosted here and the credit for the ideation and getting the venue goes to Rachna. She really achieved the impossible by having the entire park exclusively closed for our event. 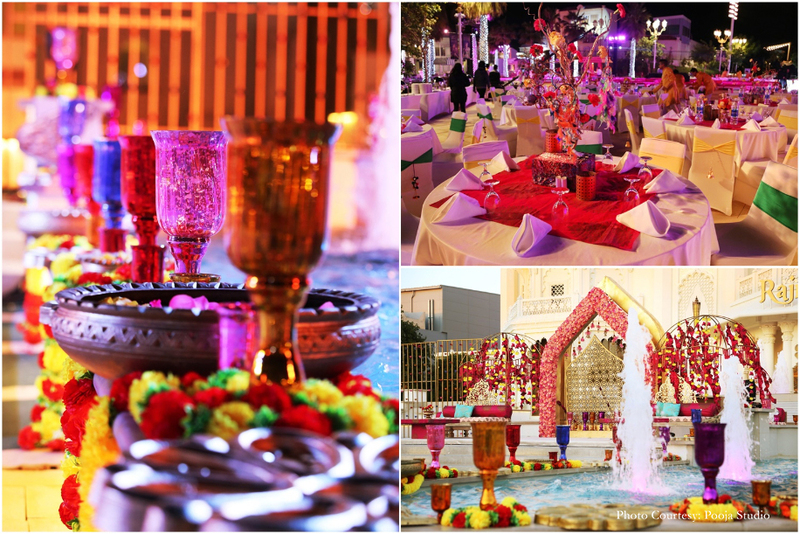 Our guests were so thrilled with the venue, the décor and set up. Hats off to her and her team for their efforts! 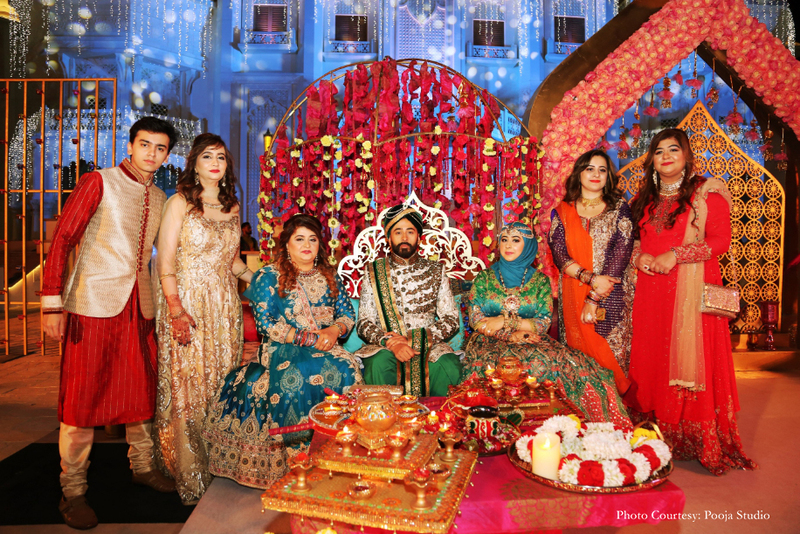 The wedding theme was Royal Mughal. 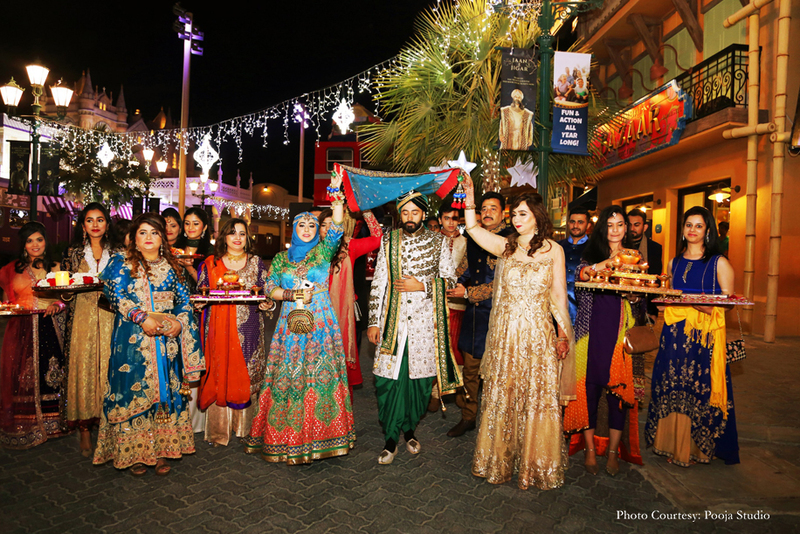 We wore clothes inspired by those of the maharajas and maharanis of Rajasthan and the red and gold decor exuded the same regal appeal. 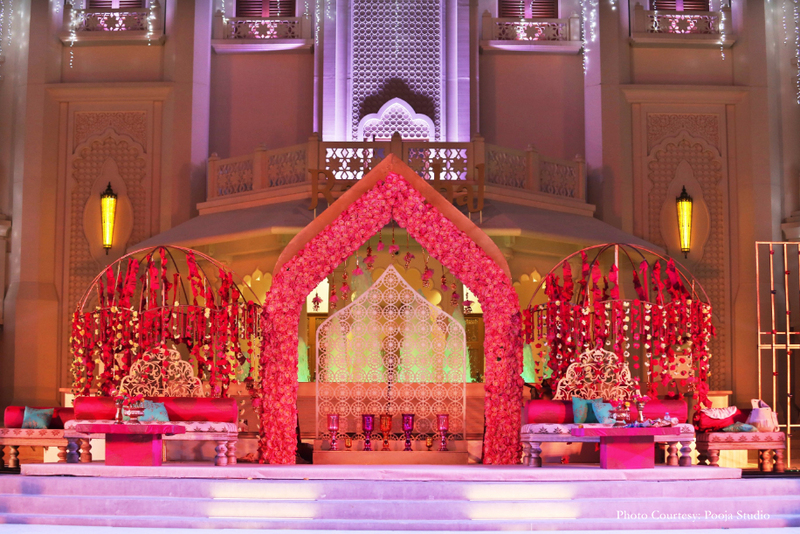 Our ornate stage was complete with a dome that bore carvings inspired by ancient regal architecture. 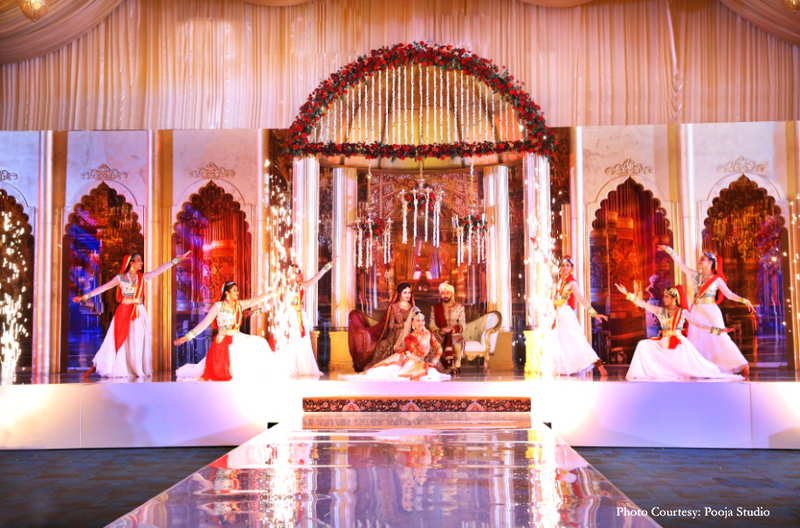 The event was a result of Rachna’s impeccable visualization and planning. 1. Plan well in advance. A timeline should go like this. 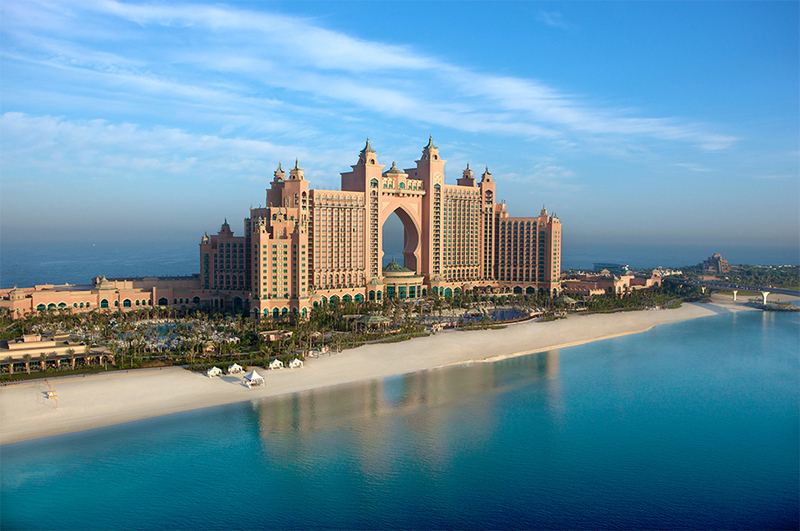 6 months prior to the date: finalise the guest list, allocation of the budget, booking event venues and finalizing menus. 5 months before the wedding, select clothes and jewelry. 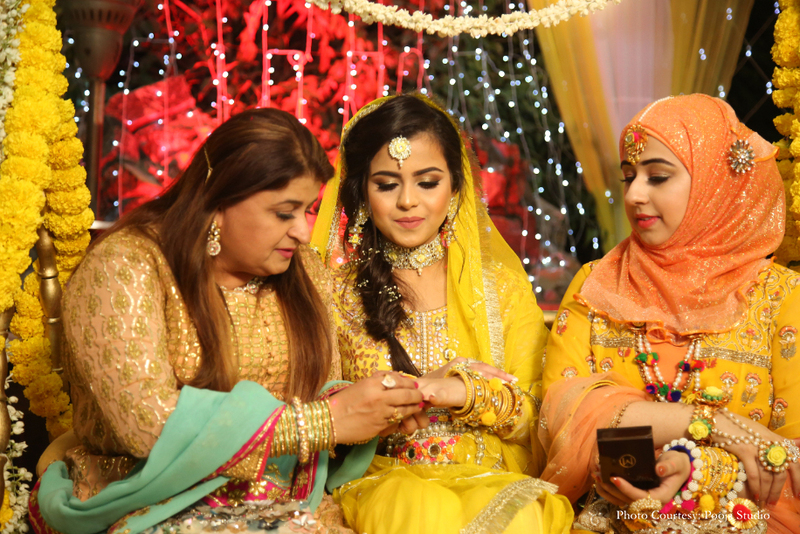 With 4 months to go, you should have henna artists and other grooming services locked. 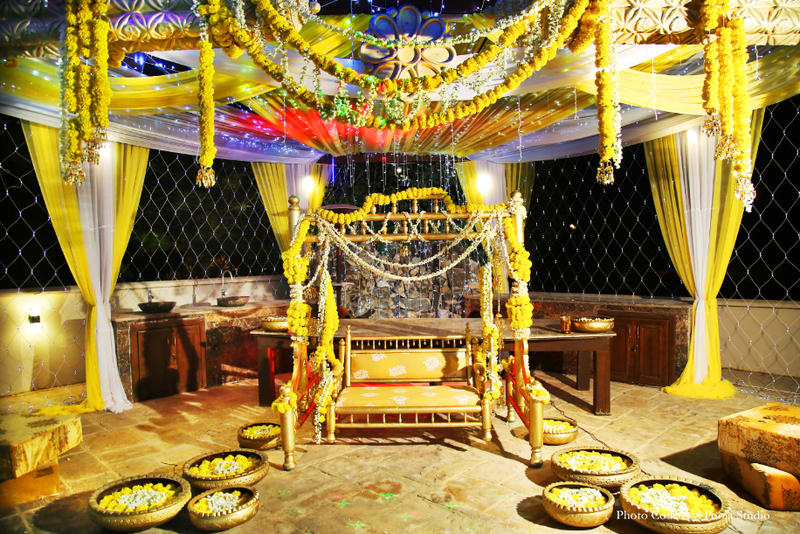 Then it is time to organize the invitations, decide on décor, favors, playlists etc. Once done sit back relax for the big day to arrive! 2. 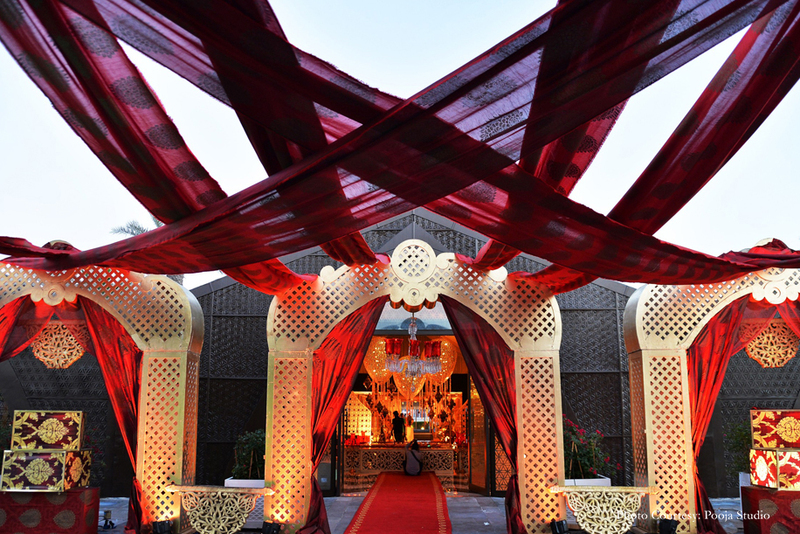 It’s always advisable to hire an event planner for assistance with design, planning, and management. 3. Plan to have at least a month off before the big day for rest and rejuvenation, as you don’t want to look exhausted at the events.